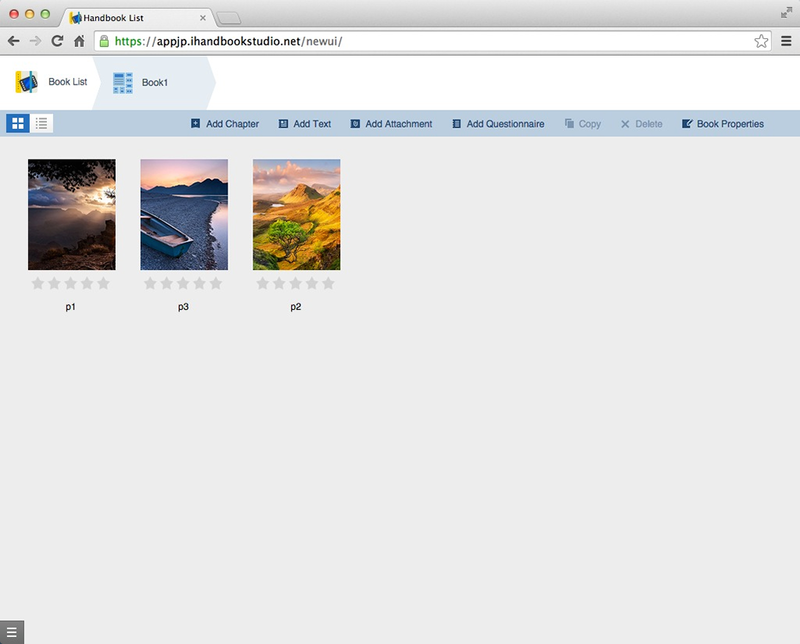 Uploading pictures, videos, PDF and Office files, and other items into Handbook are all contents uploaded to your Handbooks, which are called “sections”. 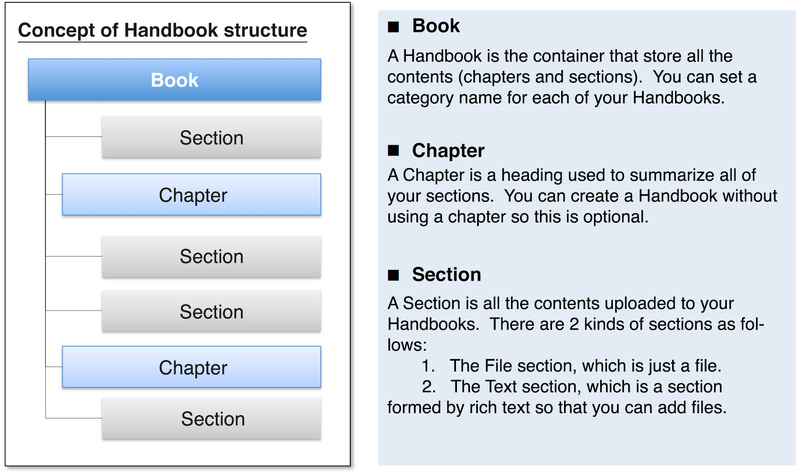 If you make a Handbook as explained in the preceding paragraph, the open Handbook will be displayed (Content preview screen). 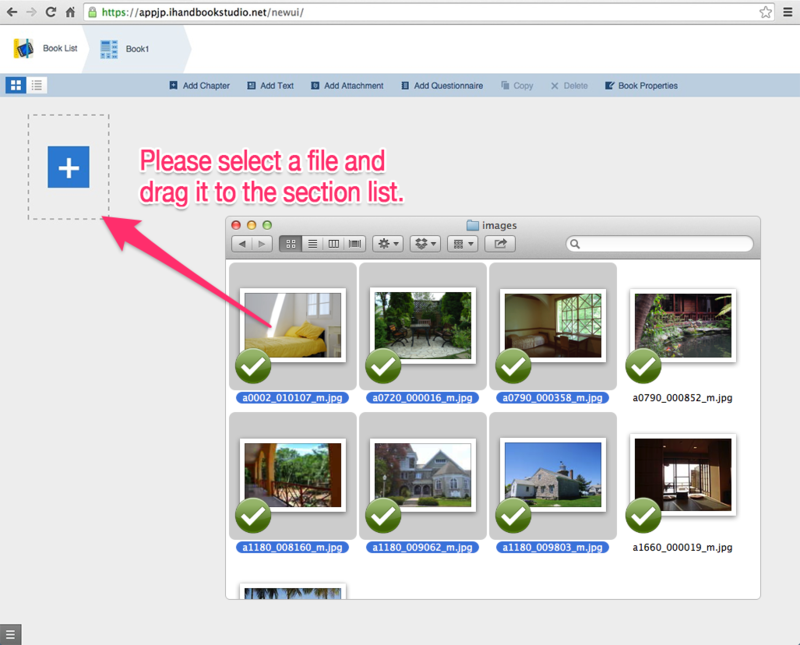 Choose your file from “Explorer” (Windows) or “Finder” (Mac) then drag and drop it into the Handbook List screen. Congratulations, you’re content upload is completed! How you can organize Handbooks? In Handbook App, all content is called “Handbooks”. Inside these Handbooks, you can add an index called “chapters” and content called “sections”. “User groups” is a function to manage and divide all users into groups. In one step, you can change the configuration of access codes or operation records for all the members of that group by designating users into groups. Let’s make a group called “managers” here, add the user, and have the group be able to view the Handbook you made earlier. 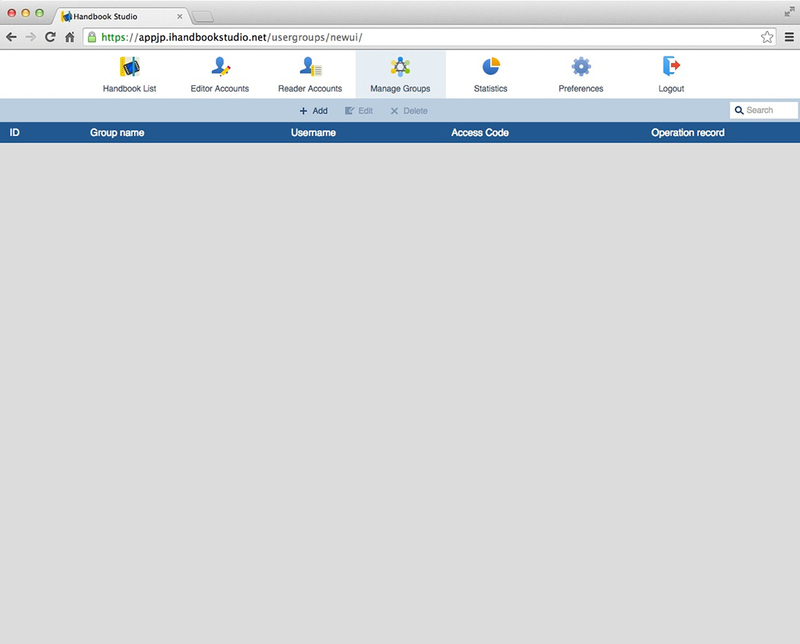 Open the “Manage Group” screen. Go back to the “Handbook list” screen and click on the “Manage groups” button. 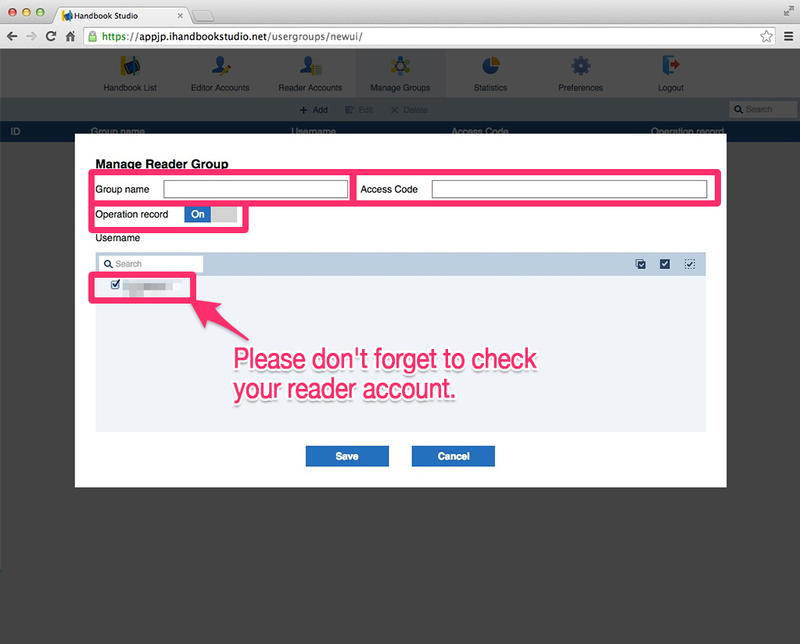 The “Manage Reader Groups” dialog will open, so enter the user group’s name and access code, set the configuration of operation records to “on”, check the box with account name, and click on “Save”. The preparation for distribution is now complete! 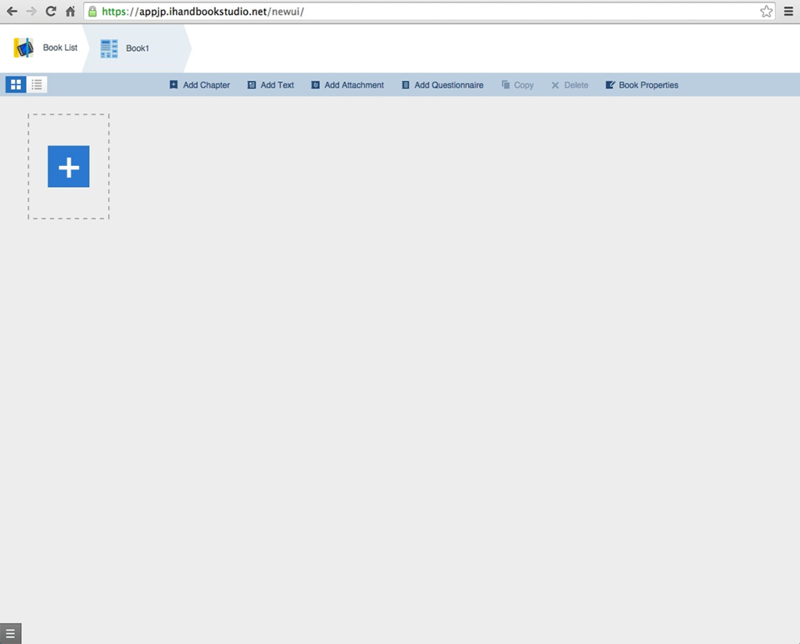 Next, it’s time to try and view content through a mobile device. What does it mean to manage, edit or read? For central management, issues editor accounts to the members who will manage all the content and issues reader accounts to those who will view the contents through mobile devices. Copyright © 1998-2019 ASTERIA Corporation. All Rights Reserved.